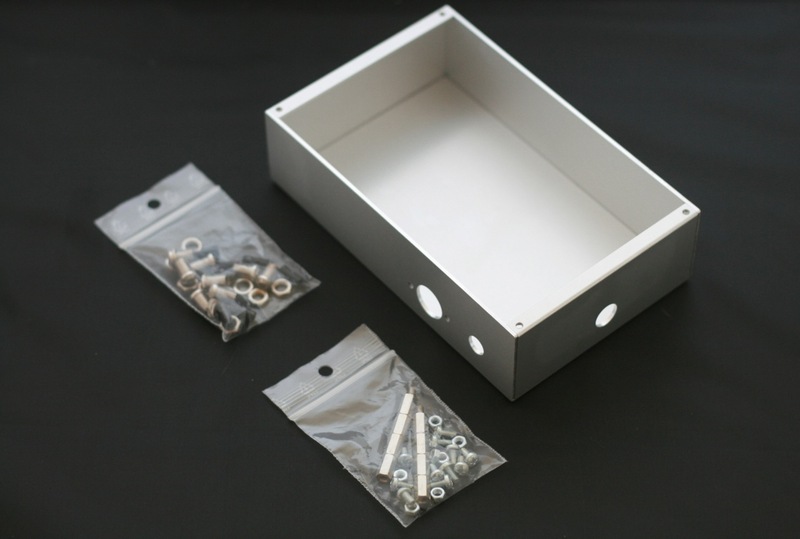 This Kit contains the Casing + mounting accessories. 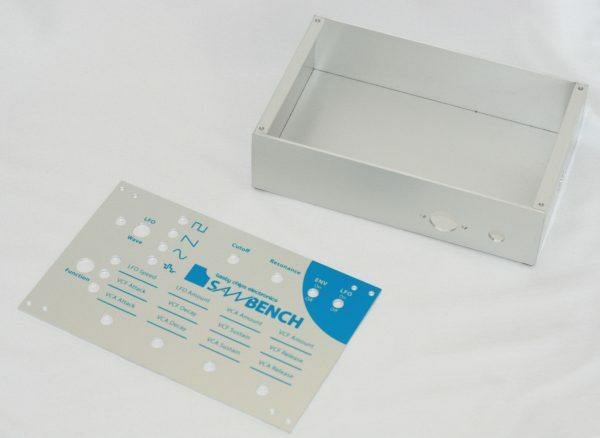 The Saw Bench Synth’s official metal casing including nuts and bots for assembly, and LED housings and plugs. The 6 screw holes have been carefully machined. Comes equipped with anti-slip pads on each corner. Electronic components or PCB’s are NOT included in this kit. The Full kit can be found here. Electronics + PCB kit can be found here.